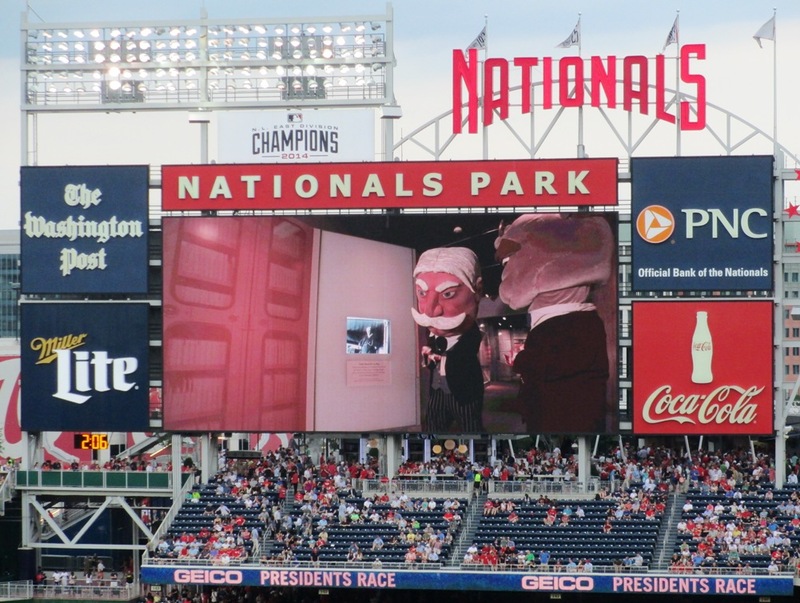 If you’re visiting the ballpark in our nation’s capital for the first time, or if you’re coming from out of town, there are definitely a few things you should know…here are five Nationals Park tips for a great ballpark experience. Call for Walgreen’s tickets today! 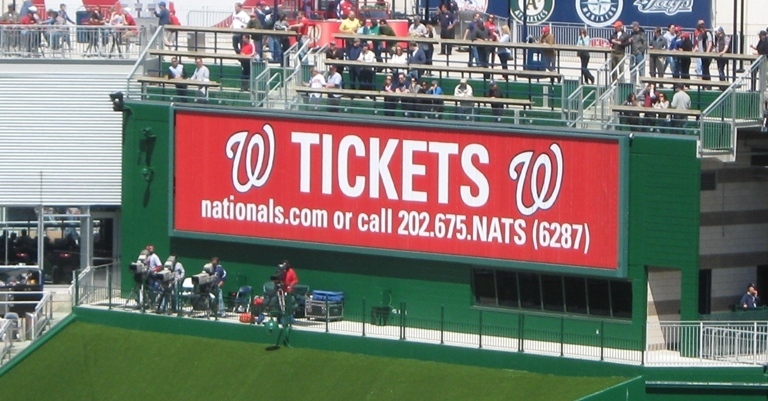 Nationals Park Tips, #1: Check the Nats website for deals. The Nats offer some decent deals on tickets for a team that has been contending. If you subscribe to the team newsletter, they’ll send them to you in e-mails. For low demand games especially, the team will often offer buy one get one or discounted food deals, great for families. We all need something we can lean on. 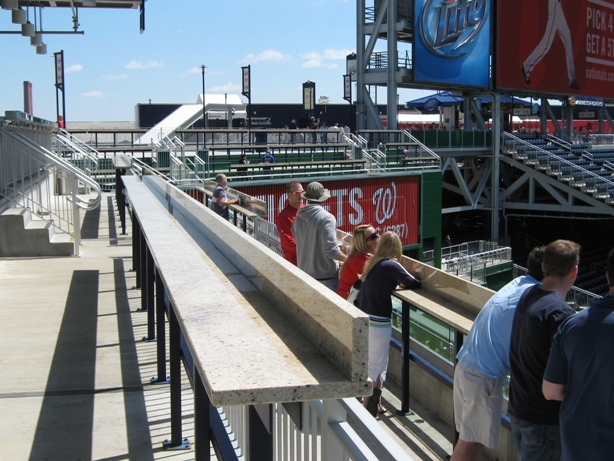 Nationals Park Tips, #2) Consider standing room. I could give you some seating recommendations (I’ve done just that with this post and this post), but if you really want to go cheap, you can go to the Nats box office on game day and get those Grandstand seats for almost nothing. But you don’t have to sit way up there…in the upper level in the outfield are some great food items and lounge areas, and quite a few spots where you can grab a stool and sit and rest your food on a counter. If you don’t mind standing, there are rails to lean on almost everywhere else in the ballpark, just make sure you’ve taken care of business before you stake a good one. 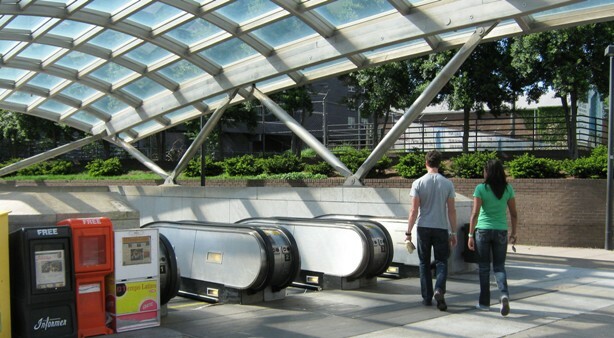 The “alternate” entrance to the Navy Yard Station. Nationals Park Tips #3) Take the Metro. Advice varies on the best way to get to Nats Park, but the parking situation there is among the worst of ballparks I’ve visited. There are a limited amount of lots, and even the ones that are a mile or more away can be $20. The traffic situation for games has been improved, but it’s still not much fun if you are there less than two hours before gametime. Even street parking is scarce and expensive. Just take the Metro. It isn’t perfect, but it beats the traffic and parking prices, and it drops you off right there at the very cool center field entrance. Nothing like sloppy ballpark food. 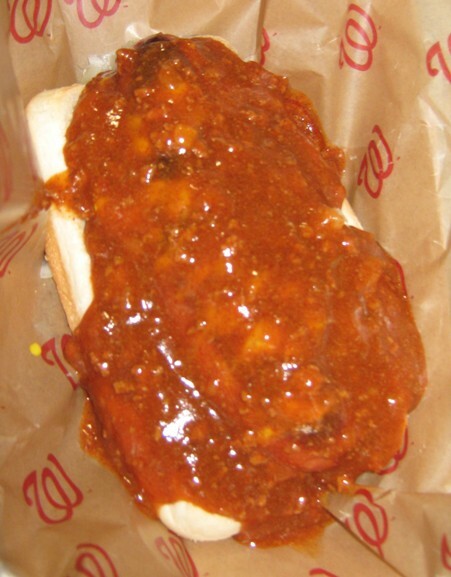 Nationals Park Tips #4) Get a Ben’s Chili Half-Smoke. It’s not cheap…ballpark food never is…but save the Shake Shack and Box Frites and that Danny Meyer stuff for your next trip to Citi Field. Ben’s is a real, genuine D.C. institution, and their spicy sausages with chili and cheese are still a go-to item here if you can handle the kick. There are lots of great choices for food at Nationals Park, like the Jammin’ Island jerk chicken and the unusual nachos, but try the Ben’s dog first. They would be proud of their legacy. Nationals Park Tips #5) Be in your seat in the middle of the fourth. One of the stories you want to share with people about your first game at Nats Park, of course, is not only who won the famous President’s Race, but also the spectacular fashion with which Teddy Roosevelt lost. And you’ll want to read about it in the excellent “Let Teddy Win” blog the next day.